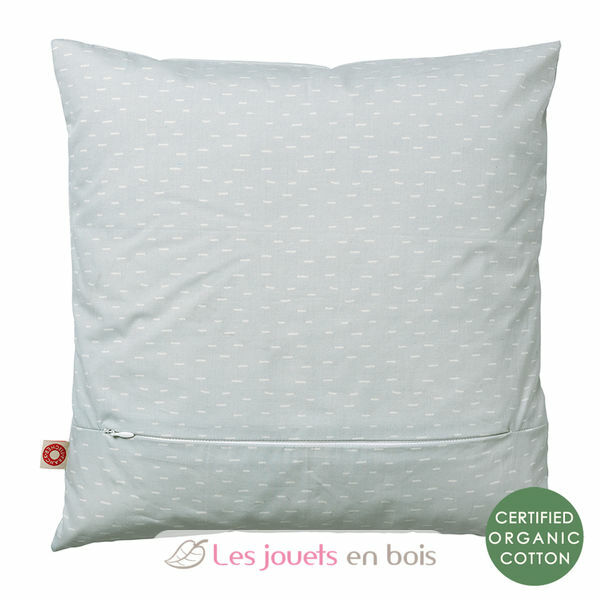 Material : Handprinted cushion case in 100% certified organic cotton. Printed with environmentally friendly dyes. Delivered with inner cushion with feathers & polyester foam. 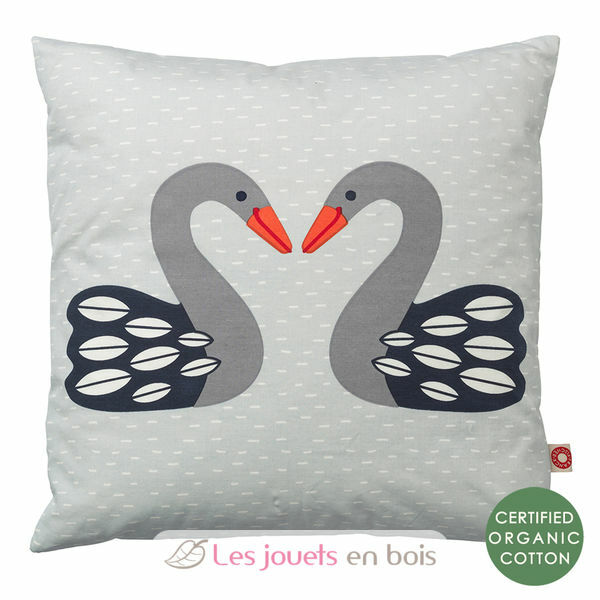 Use : Sweet and soft cushion for decoration in the nursery or to bring along on a trip. Sweet and soft cushion for decoration in the nursery or to bring along on a trip. The zipper is opened at the back, and the inner cushion is mounted and put into shape. Handprinted cushion case in 100% certified organic cotton. Printed with environmentally friendly dyes. Delivered with inner cushion with feather. Dimensions 40 x 40 cm. Almue dark swan cushion, Sweet and soft cushion for decoration made by Franck&Fisher.